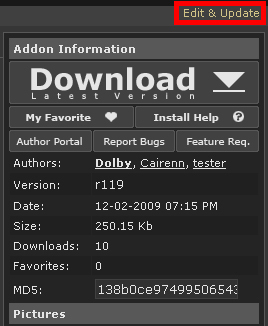 AddOn/Project leaders can access the Team Manager from the Edit/Update AddOn screen. Click to see full sized images. 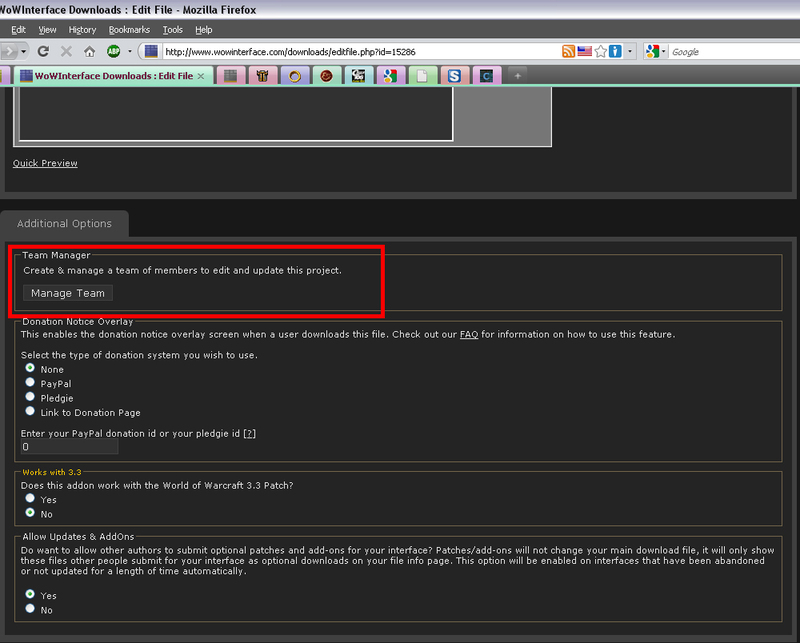 When you go to your edit/update screen, under the Additional Options, you will see the Team Manager section. From there you can add or remove team members. 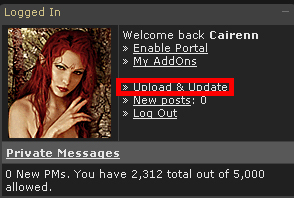 AddOn/Project leaders will also be able to see an upload log, showing which team members have uploaded which updates and when. 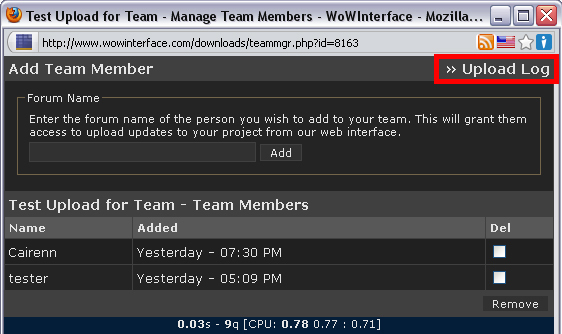 Team members will be able to see which projects they are members of under their list.php screen. 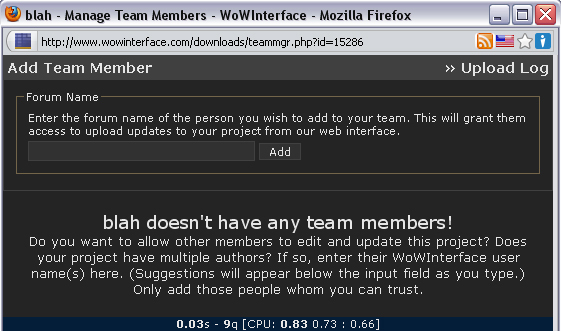 Only the AddOn/Project leaders can add members to or remove members from the project. Obviously you should only give project access to those you trust.